Bluestone Condominiums - aerial view of the full length of the development. Bluestone community line the hillside overlooking the 16th, 17th, and 18th holes of the Mid-Pacific Country Club. 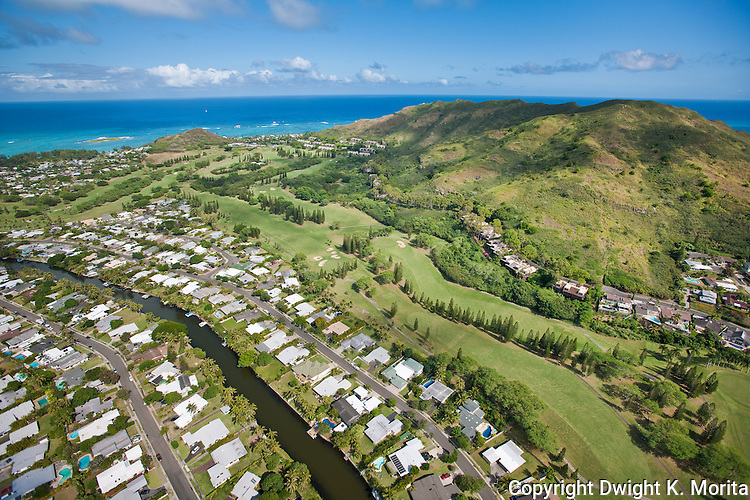 The community and golf course end at the clubhouse which is a short walk to Lanikai Beach.